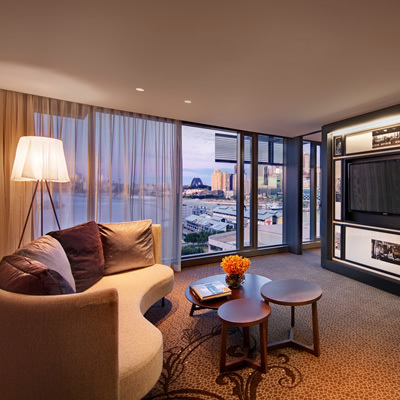 The Darling Hotel is located in Darling Harbour, Sydney, it's a five star hotel and a true representation of what a five star experience is all about. It was one of the first hotels in Australia to achieve the International Five Star Standard, and it's set a precedent for others to follow. The hotel makes for a welcome and relaxing break and leaves you wanting nothing. From the moment we arrived, we were well looked after. Our car was parked for us, out luggage was taken, and we were walked to the check-in desk. 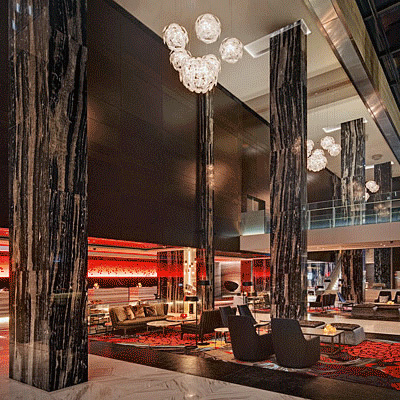 The lobby is beautifully designed and offers a glimpse of what to expect from the rest of the hotel. After a short check-in we were handed our personalised key cards and escorted to our Jewel Suite on the 11th floor. As we entered our suite, the curtains opened automatically and we were quietly thinking we may have just discovered the jewel of Sydney. Our luggage arrived shortly after us, and the porter carried it through into our walk-in wardrobe. The Jewel Suite consists of a separate lounge and kitchen area. The kitchen area is home to the mini bar, espresso machine, cocktail shaker and Martini glasses, which of course we sampled. "It's flawless on every level, and an absolute joy to experience." The lounge area had a huge plasma TV, a very comfortable sofa and arm chair, and a large coffee table. The bedroom also had its own plasma TV, a huge walk-in wardrobe, and the most impressive bed which had everything you could require for the perfect night's sleep. The bathroom was a room of its own, and the focal point being the circular remote controlled jacuzzi. The jacuzzi was a fun way to relax, if you've never experienced one you're missing out. There was also his and hers basins, a large walk-in shower, and marble flooring throughout. With floor to ceiling windows throughout the suite we had super views over the outdoor pool. In the evenings the curtains close with a touch of a button, and we explored beyond our suite. The Darling Hotel is located within the Star Development, which includes retail outlets, a casino, and many restaurants. We experienced both Sokyo and Black by ezard, two outstanding restaurants. It's also worth mentioning that the outdoor pool is heated, and there is a smaller heated jacuzzi which is super enjoyable. 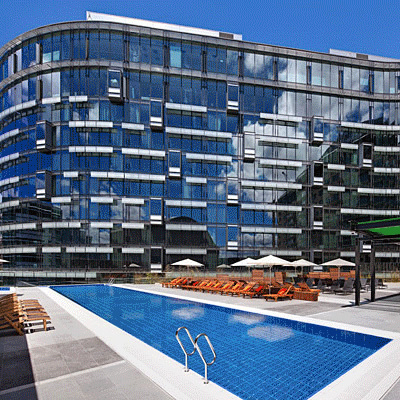 Every aspect of this hotel is what should be expected from a five star hotel. 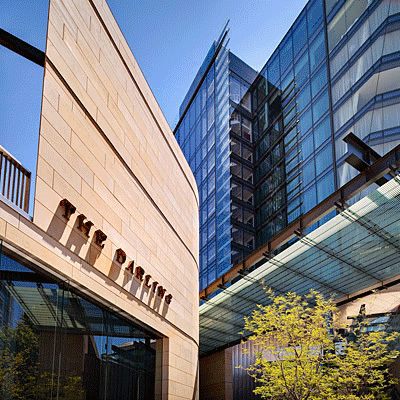 From the outstanding service, the design, the concept, and the overall experience. It's flawless on every level, and an absolute joy to experience.